Eczema (pronounced as ek-zeh-ma) is a general term used for various types of skin inflammation. The other word for this skin condition is dermatitis. It leads to itchy skin, redness, irritation and at times forms a fluid-filled small bumps and further ooze. If you are suffering from eczema then probably you the not the only one, there are many other people affected by it. It is not contagious but the reason behind its spread can be genetic or in other terms, inherited. This is a common issue and most of us get affected by it at some age or the other. Approximately one out of ten people are affected by this and this is not something to be scared about. Though eczema seems to be a common term and used widely but there are many forms to it. 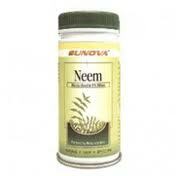 However, no matter what the form is, the best cure of neem that has been use of thousands of year for treating various skin infections. It has a healing property and works really well on acne, eczema, scabies, psoriasis, and rosacia. The compounds present in neem resembles something similar to aspirin that helps reduce pain related to skin irritation, burns and cuts. The characteristics of Atopic dermatitis are inflamed and itchy skin and this is amongst the most common of all the types. The condition doesn’t improve all of a sudden, it keeps coming and going which highly depends upon the exposure to causative factors that triggers it. The most common cause is environmental factors like pollutants, pollens, molds, irritants such as detergents, soap, perfumes; food allergies etc. 2/3 of the population suffering from this disease belong to the one year or less and the most common reason to it is family history. It results in a localized reaction like burning sensation, itching, redness and it keeps spreading wherever the skin gets in contact with the allergen. Some major causes of this eczema are cleaning agents, acid, other chemicals, cosmetics, fabrics, perfumes etc. At times it is also referred at allergic contact dermatitis and irritant contact dermatitis. Or nummular eczema can be distinguished by patches that are coin shaped usually a result of irritated skin located at the back, arms, lower legs and buttocks. The results can me itchy, scaly and crusted. This is the rarest form of eczema and is considered as a chronic condition. The reason for such a development can be asthma, allergies or a history of dermatitis. This form of skin disease has no reason to it; the signs of seborrheic eczema are oily, yellowish, patchy skin on face, scalp and at times other parts of body too. Cradle crap and dandruff in infants are the examples of this type. Seborrheic eczema runs commonly in the entire family and factors like oily skin, emotional stress, climatic conditions and infrequent shampooing increase the chances of developing this kind of eczema. Another word for neurodermatitis is lichen simplex chronicus, it begins with a scratch cycle in a localized area and then can become really intense on being scratched. The condition is generally seen more in women rather than men and occurs between the age of 20-25. Common signs are scaly patterns in the wrist, lower leg, forearms etc and leads to leathery and thickened skin. Here the irritation occurs on the palms of the hands and the sole of the feet with general signs of deep and clear blisters that burn and itch. The cause is unknown and the disease it even referred to as pompholyx or dyshidrosis. Both the genders are equally affected with this and the problem mostly persists in summer and spring. The disease is connected to circulatory problem called venous insufficiency where the function of valves is compromised within the veins. It can happen in the middle to elder age but people above the age of 50 are mostly affected by this. Symptoms include reddish discoloration, itching and further change to oozing skin or ulcer. Among all the forms, butatopic eczema is the most severe and common. Doctors are not really sure but the causes of atopic eczema but they believe someone’s immunity and its way of reacting towards things might be one of the reasons. People suffering with eczema might also have some other allergies or asthma. Food allergies and products like soy, egg, milk, wheat or fish can worsen the case. At times dust, rough fabric and animal dander can trigger such condition. The irritants and causes that trigger eczema or worsen it are very difficult to avoid. Mostly the effect of eczema is seen on the ankle, wrist, back of knee, elbow bends, upper chest, face and neck-but even the rest of the body can be affected. In a flare-up of eczema the sings are itchy and burning sensation on the skin, which increases with scratching and turns inflamed, red and blistered. The skin even becomes leathery, scaly and dry but the signs vary from one person to another. Baby eczema is little scary as they are crusty and red patches on the skin generally in the first few months. It is quite common, atopic dermatitis or infant eczema appears in around 19-15% children and can be treated easily. It can be anywhere on the baby’s body most often seen on the cheek and joints of arms and legs. Irritants like perfumes, baby soaps, wool clothes and laundry detergent. Dry skin generally in low humid area, well heated homes makes the air dry and cause dryness and dry skin becomes itchier. Heat/sweat- both are the results of heat and it can worsen infant eczema. Allergens, the concept of food allergies as a cause of eczema is still under discussion but avoiding peanuts, eggs, cow milk, and selected food helps in controlling eczema. It is quite important to take care of the baby’s skin to avoid any symptoms of eczema especially in mild condition. Try using good moisturizer on daily basis to avoid dryness. Give a lukewarm bath, use topical steroids, topical treatment like neem products and consult a doctor id problem still persists.